Annual symposium at beautiful Blue Ridge Assembly featured practitioners speaking on botanical therapies for a variety of chronic conditions, plus herb walks and medicine-making classes. Topics include: therapeutic uses of kratom; coping with loss; enhancing cognitive function; what type is your headache; prevention/recovery from hysterectomy; joints and tissue inflammation; hormonal depression in women; herbal synergy; COPD and women; seizure disorders; mold exposure diagnosis and treatment; autoimmune recovery and much more. 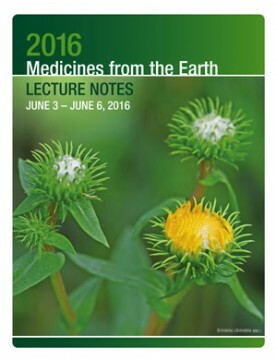 Keynote with Medicine Hunter Chris Kilham: Down the Rabbit Hole on the Medicine Trail. Speaker: Robin McGee. Making your own tinctures is fun, easy, empowering (and addictive)! Durin..
Speaker: Walter Crinnion. Conscious conception would include preconception care. In our current..
Speaker: Teresa Boardwine. We explore the dietary needs of a person in recovery from severe ill..
Speaker: Teresa Boardwine. Learn simple remedies for aching joints and inflamed tissues. ..